Optical fiber is a flexible and transparent fiber made of glass or plastic that transmits light between the two ends of the fiber. Generally used in fiber optic communications, which permit transmissions over longer distances and at higher bandwidths, optical fibers provide better services compared to other forms of communication. Nowadays, fiber optic cables are gaining in popularity, rapidly replacing traditional copper transmission cables. Instead of transmitting signals with electrical impulses like copper lines, fiber optic cables use light pulses that propagate through small strands of silica glass. To send data, a light source such as an LED or a laser is placed at one end of the cable. Copper wires are delicate and difficult to maintain, while fiber optic cables are durable, have stronger tension and are cheaper. Fiber cabling is not only required by large business corporations but also at home for smoother communication. The most commonly used fiber optic cables are single mode, multimode and plastic optical fiber (POF). Multimode fibers are used for short-distance communication links and for applications where high power must be transmitted, while single-mode fibers are used for most communication links over one kilometer. Both single-mode and multimode fiber optic cables are made out of glass. In contrast with glass fiber, plastic fibers use harmless green or red light that is easily visible to the eye. Plastic fibers can be safely installed in a home without risk to inquisitive children. A second advantage is their toughness. Plastic fibers are much thicker than glass fibers, a millimeter or more, and can be handled without special tools or techniques. You need not be trained to handle and install it. You just cut it with scissors, plug it in and it works. POF is an optical fiber which is made out of plastic. Similar to traditional glass fiber, POF transmits light through the core of the fiber. 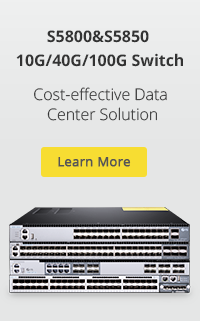 But the core size of POF is in some cases 100 times larger than glass fiber. As fiber technology continues to become more flexible and less expensive, Plastic fibers are generally more cost effective than glass fiber optic cables and are ideal for applications that require continuous flexing of the fiber. POF cables are constructed of a single acrylic monofilament and are most efficient when used with visible red status indicator light sources. A wide range of fiber optic tips are available. POF has been called the consumer optical fiber because the fiber and associated optical links, connectors, and installation are all inexpensive. The per fluorinated polymer fibers are commonly used for much higher-speed applications such as data center wiring and building LAN wiring. 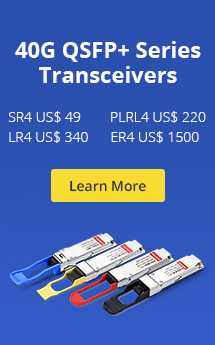 As a topping fiber optic cable supplier, Fiberstore offers high-quality products at an affordable price. Except the traditional single-mode and multimode glass fibers, we also supply figure of 8 cable and POF cable. This entry was posted in Fiber Optic Cables, Plastic Optical Fiber and tagged fiber optic cables, glass ptical fiber, plastic optical fiber. Bookmark the permalink.